Do you want to increase your chances of bagging an elk the next time you go hunting for them? One of the best ways to do it is by learning as much as you possibly can about elk. It’ll give you an advantage when you go on your next elk hunting adventure. Here are a few things that you may not have known about elk before. Elk are one of the largest deer species on the planet. Many hunters love going elk hunting because it provides them with an opportunity to hunt for some of the largest deer on the face of the earth. There are some elk that can grow to be more than 700 pounds, which makes elk one of the biggest deer spies in the entire world. You must get up close to one to really appreciate their robust size. Elk can run a lot faster and jump a lot higher than you might think. Elk might be some of the biggest animals you’ll ever lay eyes on, but don’t let their size fool you. Despite their massive weight, full-grown elk can sometimes run more than 40 miles per hour, which is faster than some horses. There are also some elk that can jump upwards of eight feet up in the air. Elk love rubbing their antlers up against trees. When you’re hunting for elk, you’re obviously going to want to keep your eyes peeled for them. However, you should also look for signs of them while you’re walking around in the wild. Specifically, you should look out for trees that elk have rubbed their antlers up against. Many male elk do this to try and impress the females and to make their antlers look more attractive. If you want to see some elk up close for yourself, go deer and elk hunting with Samuelson Outfitters. We can take you out on a hunt and lead the way as you see what elk hunting is all about. 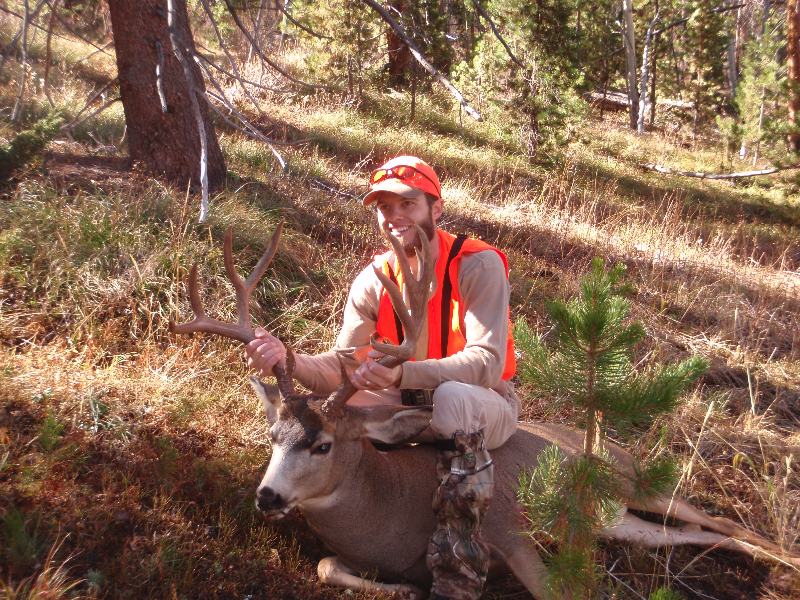 Call us at 970-726-8221 to plan an elk hunting expedition.